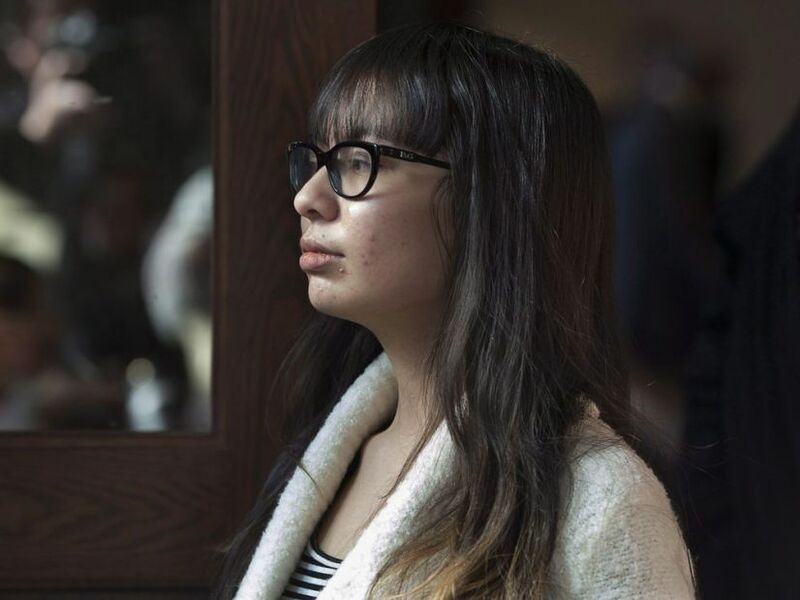 The lawyer for would-be mass murderer Lindsay Souvannarath appealed her life sentence to the Nova Scotia Court of Appeal on Tuesday. The American woman intended to kill multiple people in a mass shooting at the Halifax Shopping Centre on Valentines Day in 2015 but the scheme was foiled when police were tipped off. Her co-conspirator, James Gamble, 19, killed himself as police closed in on his home. Souvannarath, 20 at the time, was arrested when she arrived at the airport. The two had met online and struck up a relationship based in part on their shared admiration of the perpetrators of the Columbine Massacre in the U.S. They planned the assault on the mall food court using guns and Molotov cocktails. Souvannarath, of Geneva, Ill., pleaded guilty in 2017 to charges of conspiracy to commit murder. In April 2018, Justice Peter Rosinski sentenced her to life in prison with no chance of parole for 10 years. Incarcerated in an Ontario prison, she did not attend Tuesday’s appeal hearing, which was held before Justice Cindy Bourgeois, Justice Anne Derrick and Justice Jamie Saunders. The judges reserved their decision to a later date. Her lawyer, Peter Planetta, appealed her sentence on three main grounds: that the sentencing judge “improperly considered” her lack of remorse, that the severity of the sentence was out of the accepted range for the offence of conspiracy to commit murder, and that it was longer that that of a third conspirator, Randall Shepherd, who was sentenced to 10 years for his part in the plot. Planetta argued that her sentence was too harsh and that the sentencing judge put too much weight on the fact a presentence report did not indicate Souvannarath exhibited remorse for her part in the plot. In his submission to the court, Planetta did not dispute that Souvannarath committed the crime. But he suggested that the sentencing judge made an error in considering cases that involved terrorism when seeking a comparable punishment. The case of Mohammad Momin Khawaja was cited. Khawaja was convicted in 2004 under the Canadian Anti-Terrorism Act of plotting a bomb attack. He was originally sentenced to 10 years in prison but the Ontario Court of Appeal increased that to life in December 2010. Justice Saunders pointed out that Souvannarath had a choice to present evidence at the sentencing hearing about the possibility of having remorse or prospects of rehabilitation and did not. Planetta also referred to their planning as “amateurish,” offering that the mall plotters wrote that they had never fired a gun. Saunders again questioned Planetta on his client’s character, quoting from statements in the evidence that the plotters had considered targeting a hospital for a “higher body count,” but chose the mall because it sound like “more fun.” They also planned to commit suicide together after the attack. Planetta said all the talk is tempered by the lack of experience in firing a gun. He submitted that the sentence for conspiracy to commit murder should be in the 10 to 15 year range. Crown attorney Tim O’Leary argued that the life sentence was not beyond the acceptable range for the crime, but at the high end of it. He also told the court that the sentencing judge was within his mandate to consider whether Souvannarath was a further danger to the public. “Justices, I don’t mean to sound trite, but sometimes the facts really do speak for themselves,” he said in opening his submission. O’Leary submitted that there were no legal errors made on the part of the sentencing judge. “A life sentence, by it’s very nature, would be very rare but this is that rare case that warranted a life sentence,” he said. Shepherd, he said, was not going to be a participant in the assault and was supposed to be killed before the attack began and he co-operated with police. So his sentence should not be considered for parity with Souvannarath’s. O’Leary declined to speak to media after the hearing.